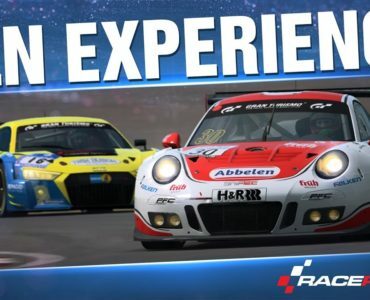 The next update for RaceRoom Racing Experience will introduce the ability to run very large grids as visible in new previews. 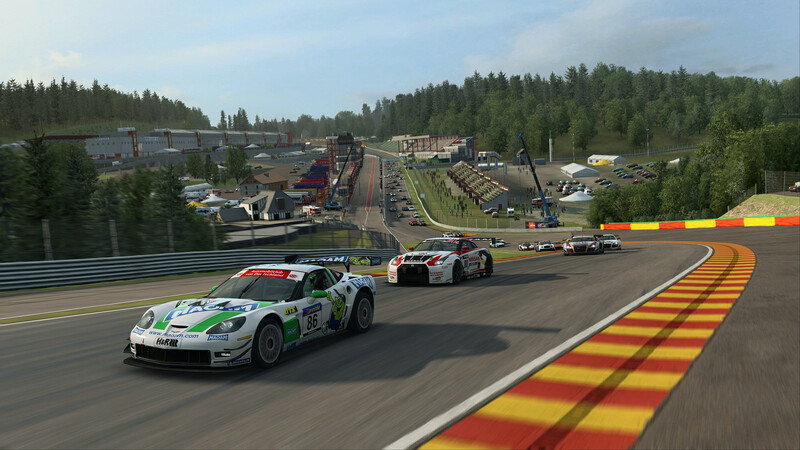 As confirmed by Sector3 Studios, select tracks will be able to run up to 99 cars (including Spa Francorchamps and the soon to be released Nürburgring Nordschleife), provided sim racers have a machine that is able to handle such large grids performance wise. The new feature can be seen in action in new previews below. 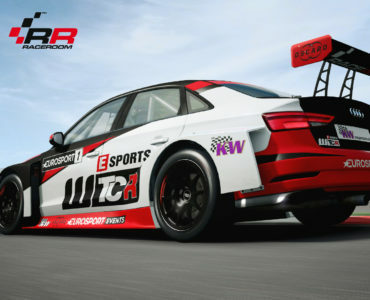 Furthermore, the studio has also released a new teaser of the upcoming Nürburgring Nordschleife, also allowing us to listen in on the car sounds, undoubtedly R3E’s standout feature. Give me this ffb update asap plz!!! I have to find the best ffb settings for my T300 in order to enjoy this awesome game! 99!! holy hell! Glad I’m getting back into RRE at the moment! I tried some free content and tested a few cars up for sale and I am not super thrilled to be honest; I think the content is overpriced and I really dislike their marketing system. That being said, this could be the time I am finally purchasing some R3E content: I am thinking Group 5 / DTM 1992 @ Nordschleife! I used all the credit I had on Group 5. Honestly, if you don’t mind waiting, save it and wait for the GTO class. The Group 5 cars handle… interestingly. When you look at the setups, you immediately feel disappointed. 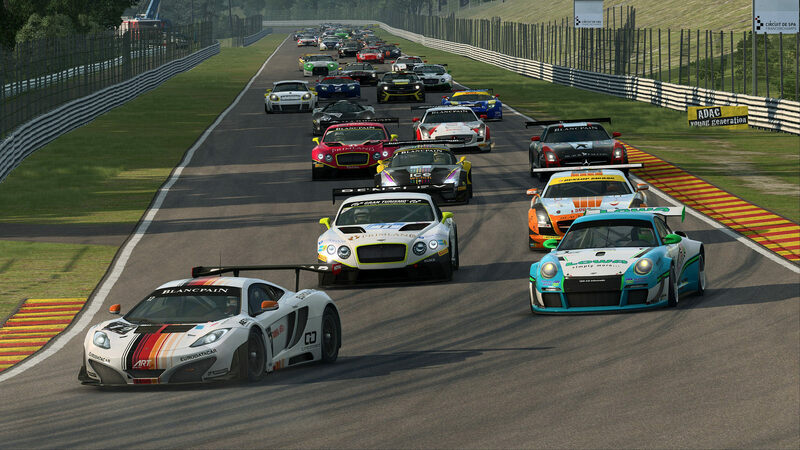 They also look like very well made 2010 rFactor mod cars. Great advice, I’ll keep my eyes open for the GTO class, those cars look spectacular !!! You’re very welcome. I’m holding out on r3e but when i notice progress in specific areas I’ll be happy to adopt it. Buy credits at sales, and then only purchase stuff at sales. So far I’ve spent like $30 and have lots and lots of content. The group 5 pack is epic, one of the best. Interesting. Where can you buy credits? On the online store I can only see Cars, Tracks and Packs. Just checked and it used to be up to the right where it says how many credits you have left. Seems like they have removed it. It used to be a 2-step process; buy credits and then buy stuff using credits. Thank you, I’ll bookmark the page and wait for a vRP sale then. I’ll second that. The Group 5 cars are awesome. I’d also highly recommend the DTM 1992 car pack. And, if you can afford it, I’d recommend the European Track Pack. Are they referring to A.I grids?. If so, that must be taking some programming, as I’ve been lowering my A.I grids down to about 12 or so, as recommended by Empty Box, to achieve decent off line racing without the kamikaze A.I drivers. Be interesting to see. It’s going to be interesting to see how it plays out though with so many cars… R3E AI seems less prone to pileup on the start for the most part (Macau doesn’t count) but also more willing to door bang like mad. Yep, banging or rubbing doors in corners I have no problem with, I just put that down to good old aggression, nothing wrong with that, but an explosion in a mattress factory off the start, or slowing down in corners to let ducks cross the road……Come on, this is 2016, no need for it. Any idea of what the specs would have to be to cope with 99 cars? I’m contemplating what to get for my first PC. Go with a rig that is capable of VR since that is also, basically, just a very, very competent gaming rig. Vive and Rift specs are in the Google. Thanks, well I have a rig capable of VR at least the minimum specs. 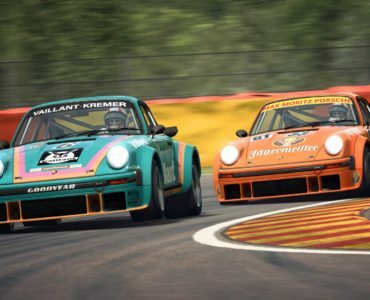 Hopefully from what I remember, it should come with SP multigrids too, combine dtm 92 with touring car classics will produce a insanely awesome grid. 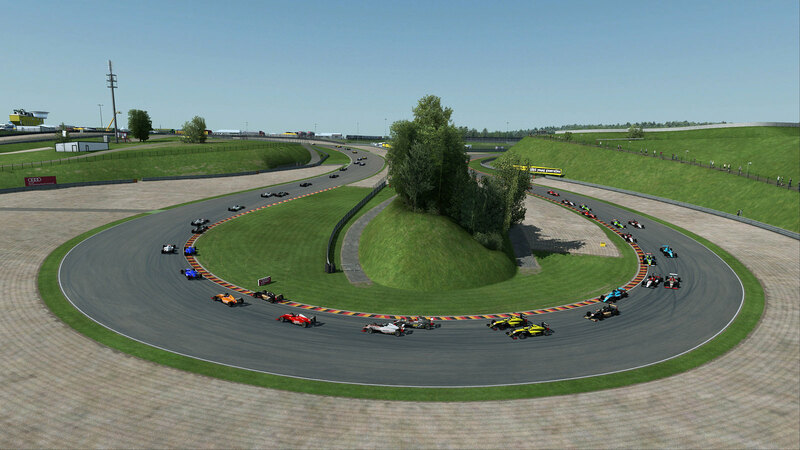 Maybe not 99 cars but I see Spa with 40 pitboxes, Nordschleife 34 etc. Enough for leagues. Have a look. I can’t run more than 10 cars in AC without getting massive slow downs and CPU warnings. I can already run more than double that in RRRE without issue. Not sure what’s going on in AC but it’s why I only hotlap practice in it. I’m still waiting for the ability to save car setups. Well, I’d been putting off upgrading my CPU and RAM. Looks like now’s the time. 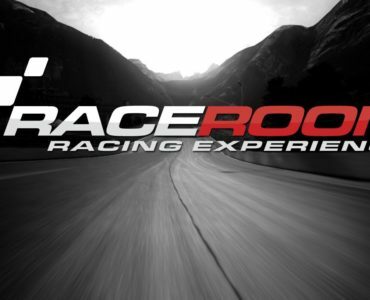 Do it, I did last year and all the latest modern driving/racing simulators run absolutely great.